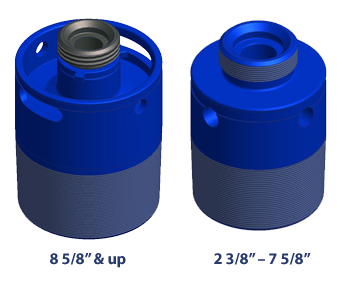 Industrial Rubber, Inc.’s Casing Swages utilize a unique weight-saving dished top to create a swage that is lighter and easier to handle ,yet robust enough to withstand high pressure circulating. The integral 1502 union is easy to maintain, and very inexpensive to replace should the need arise. Swages are available in any size or style of casing thread, just let us know what you need! IRI Casing Swages are available for various working pressures under the part numbers in the table below. Please note that the casing thread working pressure supersedes all IRI working pressures. * Other sizes and working pressures are available upon request.